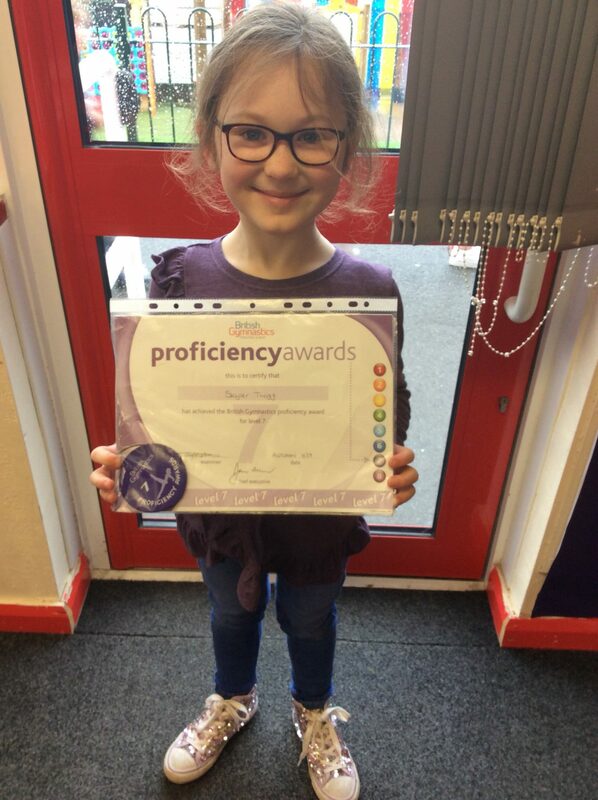 Skyler has passed her gymnastics Stage 7 British Gymnastics Proficiency. Well done Skyler we are very proud of you! Congratulations Skyler. We’re all very proud of you!